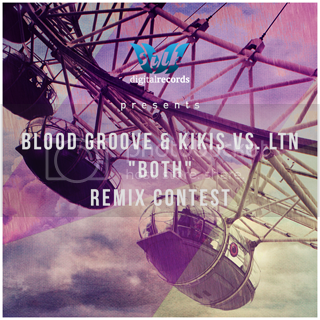 Remix Blood Groove & Kikis vs. LTN's "Both" for a chance to win a variety of prizes + inclusion on a forthcoming Silk Digital single! Tek'it Audio, Sonalksis, One Small Clue. In anticipation of Blood Groove & Kikis's forthcoming "Wonderland" artist album, arriving March 25, 2014, on Silk Digital, Silk Music Publishing announces its "Both" remix competition. Veteran and aspiring producers alike will have the chance to remix Blood Groove & Kikis vs. LTN's "Both" and have their remixes released on Silk Digital, Silk's parent label. With its 80th single release arriving in Spring, Silk Digital has released tracks by many of the leading artists in progressive over the past 6 years and has received radio support on the industry's top radio shows, such as: "Group Therapy," "International Departures," "Solaris International," "Cycles Radio," and "Jaytech Music". Silk Digital Records will be selecting three winners for a special "Both" remixes release on the imprint later this year. We encourage participants to remix in the specific genres of progressive house and progressive breaks — the standard niche of Silk Digital — but we will also consider exceptional entries in trance, deep house, and chillout. Winning remixes released on Silk Digital Records. Grand prize winner gets 1-year paid Premium account on SoundCloud. Winning remixers get "OIO Bundle" package of software from Tek'it Audio (value €322). Winning remixers get "Essentials Mk2 Bundle" from Sonalksis (value €190). Winning remixers get "Poise Percussion Sampler" from One Small Clue (value $50). Winning remixers will be invited to do a guest mix for "Only Silk" (Frisky Radio) or "Silk Royal Showcase" (Proton Radio).